Here’s a quick, but an effective one for you today! No excuses because it requires NO equipment! 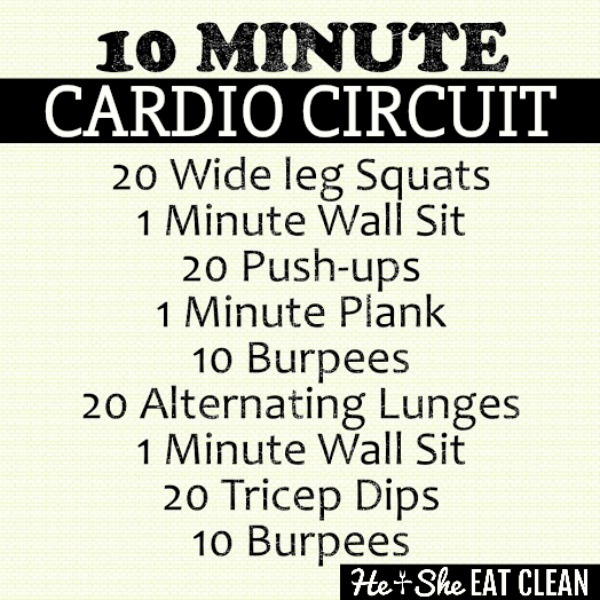 Do our 10 Minute Cardio Circuit once, twice or three times. Whatever your schedule allows! You can also pair it with our Push-Up Challenge!